Dreamfall Chapters strikes me as an adventure game for those who normally consider themselves disciples of a different genre: the RPG. Ragnar Tørnquist’s sequel to Dreamfall and The Longest Journey before it incorporates dialogue wheels, direct third-person control and environmental hubs waiting to be squeezed for every last NPC soundbite. GOG are going to start selling its season pass soon – and have uploaded a new trailer to keep our tails wagging and tongues lolling. 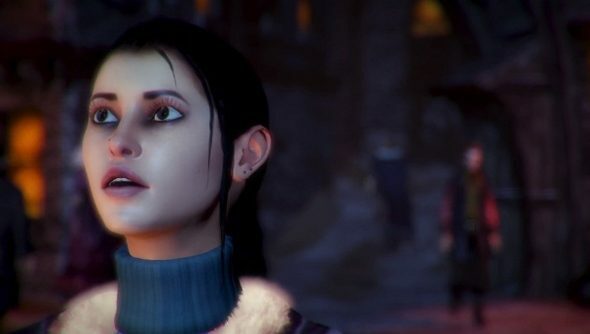 Dreamfall Chapters will be split into five parts. The first book, as they’re confusingly called, is named Reborn and due in November. It’ll feature 3D environments much larger than those seen in Dreamfall, and flit back and forth between the cyberpunk Stark and trad fantasy Arcadia. It’s not entirely open world, presumably because that would make puzzle design rather trickier. But hub levels like Europolis and Marcuria will encourage exploration with story snippets and secrets. You’ll have spotted the design ethos of Tørnquist’s Red Thread studio there: “for every choice a consequence”. It’s an overfamiliar refrain, but their dialogue system really does seem to deliver. If you’d like to see how that works, there’s 30 minutes of Dreamfall Chapters commentary floating about. Are you as hot on Dreamfall as our eminently quotable Fraser was in that trailer?